Hello. I must first wish you all a happy New Year. I live in Azé, which is about 30 miles from Angers. There are 3500 people living there. It is a nice village and it's got lots to offer. There are lots of shops and restaurants. There are many sports clubs and associations as well. There is a small lake, a viaduct and a theatre. During my holidays, I had a lot of dinners over Christmas and I celebrated the New Year with a big party!!!! Bye. Last weekend, I played soccer and I made chocolate muffins (they were very good). I hurt my hip and I had to do some physio. I also went to a family dinner with my cousins. This week I had a great time with my friends. I saw comic movies with my psp. It was funny. During the holidays, I didn’t go anywhere; I stayed at home. I played football and basketball. I did some cooking and gardening. I helped my parents and my neighbors with their work. I did my homework and learned my lessons. I planted some chili seeds. I played videogames and watched a couple of films. I washed bottles to use for cider. I did some painting in my house and I cleaned my room. I watched TV and I was shocked by the earthquake in Japan. Last week, I went shopping, did my lessons and revised hard for a big test we had. I played football with my club, and my friends and I made cakes for boarding school. This week, I planted my last chili seeds. I played football, watched movies and played videogames. I did some gardening and cooking as well. The film ‘Bowling for Columbine’ is by Michael Moore, a very famous film director. The director of the documentary illustrates to his viewers that guns should be banned especially among young people. Michael Moore visits areas where shootings occurred (Columbine and Flint), and investigating these incidents. He meets personalities like Marilyn Manson and Charlton Heston (a famous Hollywood actor), and conducts interviews with students at Columbine High School where the shootings occurred, all of which he uses to demonstrate to viewers that gun ownership is dangerous, and it should, therefore, be banned. I think guns should be banned because guns equate to a lot of victims. I also learned that each American is another fellow American’s greatest terror. Last weekend, I played football and I scored the goal that won the game for my team. I did some gardening and I stepped on chili. Now I watch the series The Mentalist. I also spent a lot of time doing my homework because I had to finish my lessons. This week I played football and we won 3-0. I mowed the lawn, stepped on chili and repaired my little brother’s football goalpost because it was broken. I made my famous sugar pie. My parents hosted an intern for three weeks. I also learnt my lessons because I had lots of tests this week. This week I played football and we drew 1-1. I only played during the first half of the game because I yelled at my coach. I was also on Wikidot to improve my project. I mowed the lawn, watched the films Harry Potter 6 and Bait, and played videogames. I also cooked and prepared my suitcases for the holidays at boarding school. o Customs and traditions in France? In France, there are many national holidays. On 14th July, there are fireworks in most French cities. There are a few national holidays where we commemorate the end of the two world wars. o What you should and shouldn’t do (“the dos and don’ts”)? In France you cannot drive, vote or buy alcohol before you reach the age of18. You also cannot carry a weapon. From the age of 18, we can do practically anything that we want. In France, school is compulsory until the age of 16. This week I played football and we won 7-2. I celebrated Easter with my family. I did gardening and cooking. I played videogames and soccer with my little brother. During my vacation I played soccer and I went to a dear friend’s place to disassemble cars. Last weekend I had all my family at my place because it was my sister’s baptism and my brother’s fellowship. It was awesome. o Primary, secondary and tertiary education? French schooling is divided into five main levels: The French go to nursery school from the age of 3 until the age of 5, primary school from the age of 6 until the age of 10, college from the age of 11 until the age of 15, and high school from the age of 15 until the age of 18. You go onto higher studies after high school. We start school at eight or nine in the morning each day depending on the school. § When are you at school every day? In France, we go to school on Monday, Tuesday, Wednesday, Thursday and Friday. On Saturday and Sunday, we do not work. o What type of school is it? 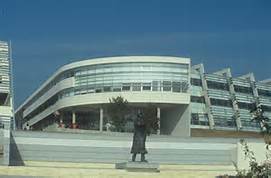 Jean Moulin is a school that focuses on scientific studies, for example, Biochemistry. You go there to follow scientific studies.